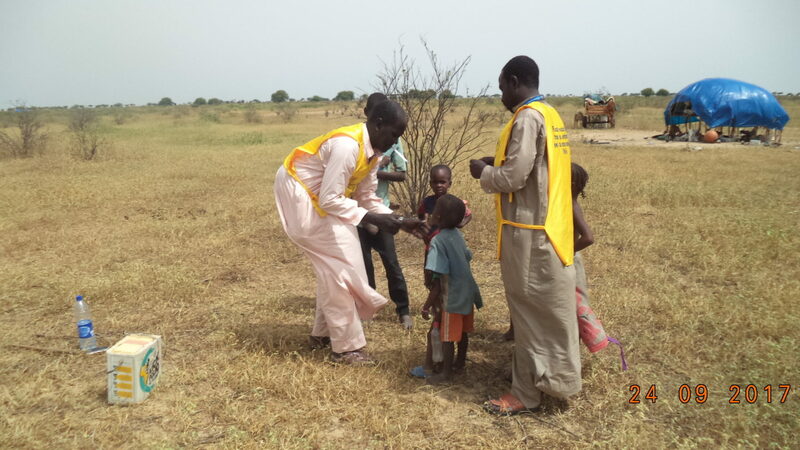 In at-risk areas of Chad, large-scale polio campaigns are increasing the immunity of every child. The discovery of wild poliovirus in Borno and Sokoto states in Nigeria in 2016 after more than two years without any reported cases prompted a multi-country response in neighbouring countries of the Lake Chad basin, covering Cameroon, Central Africa Republic, Chad, Niger and Nigeria. 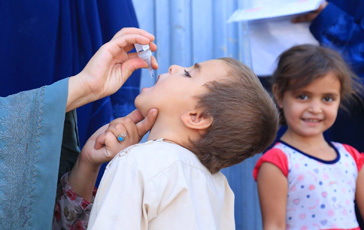 Since the outbreak response started, coordinated vaccination campaigns have been taking place in all five countries, reaching tens of millions of children. This year, campaigns are planned for March, April and October – all of them synchronized between the neighbouring countries. 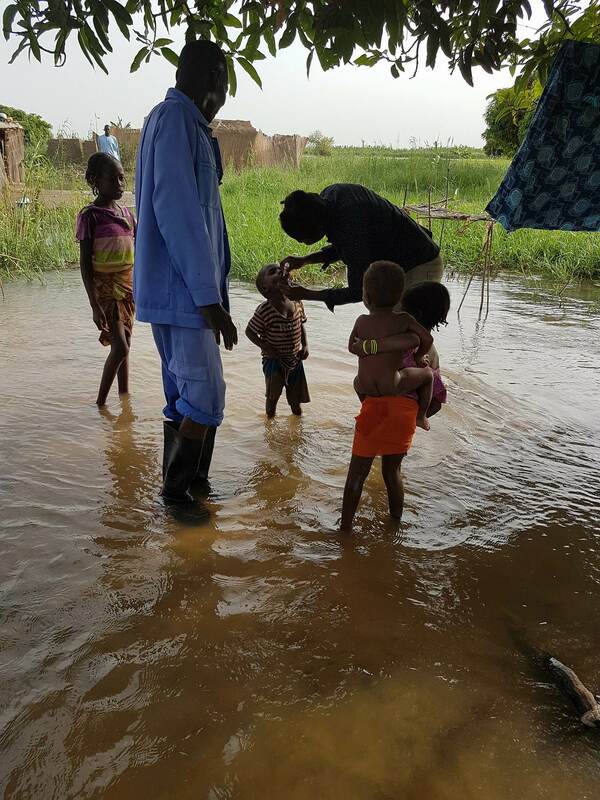 In Chad, vaccination activities for polio and other diseases are being carried out in priority districts, supplementing regional campaigns which aim to target the hardest-to-reach children. A child is vaccinated in a nomadic camp in the village of Ngouboua, in Chad’s north-west region. 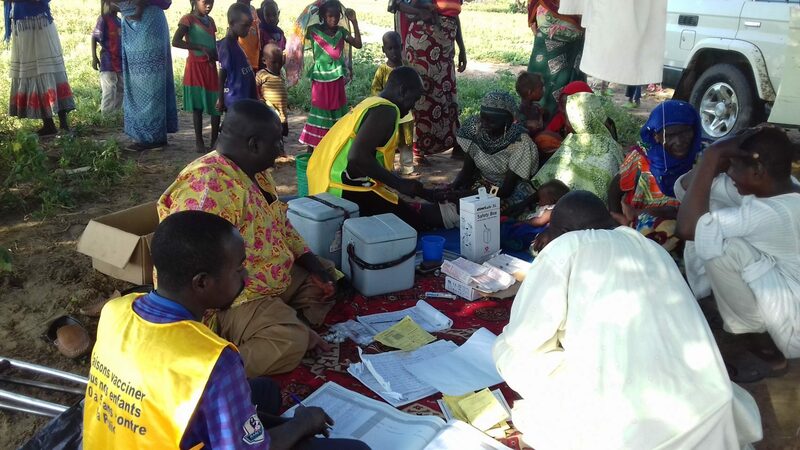 Additional vaccination activities have taken place in priority districts in Chad between regular campaigns to help strengthen the immunity of children under five. Teams make dedicated efforts to reach children from difficult-to-access populations: particularly nomadic and island-dwelling families who are often not reached by routine health services, as well as returnee, displaced and refugee populations with limited access to regular vaccination. Health centers in Chad’s 11 priority districts are supplied with routine vaccines including tuberculosis vaccine, polio vaccine, pentavalent, and measles vaccines, so that trained health workers can vaccinate all children from 0 to 11 months against vaccine-preventable childhood diseases, using fixed, advanced and mobile vaccination strategies. 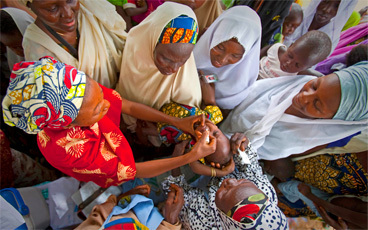 Vaccinator teams use creative approaches to access hard-to-reach and at-risk populations. 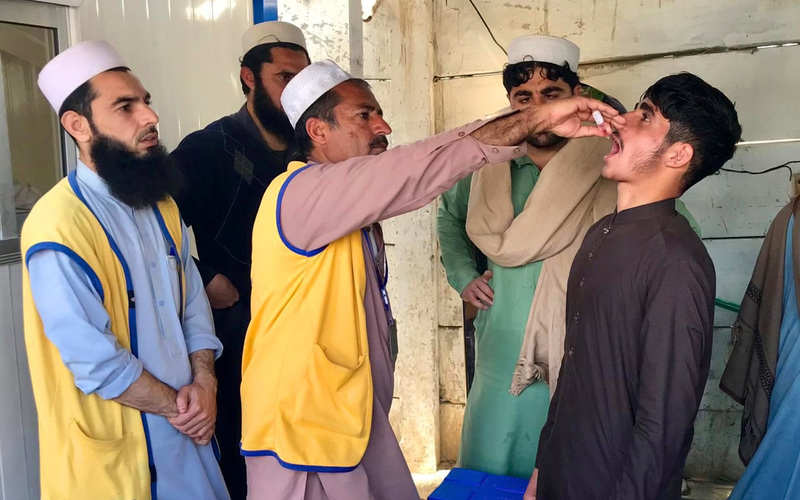 Children are being reached with polio and other critical vaccines through vaccinator outreach in areas including weekly markets, islands, and at refugee, displaced and returnee camps. WHO, UNICEF and partners in the Bagasola district navigate through islands to deliver vaccines to the most vulnerable remote communities. There are hundreds of islands within Lake Chad that are hardly accessible to health workers. Efforts to specifically reach these locations have been made a national priority. 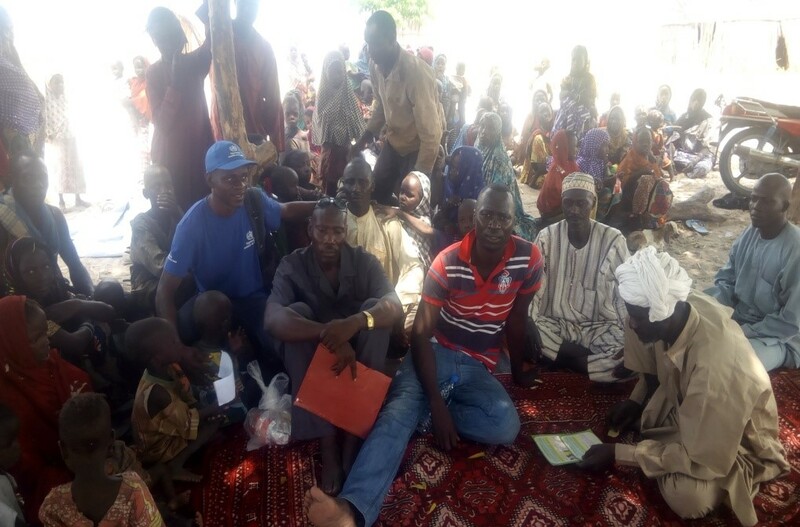 The Blarigui community meets with the Canton (sub-region) Chief and the vaccination team responsible for the Reaching Every District strategy in the Bagasola region, prior to a special campaign in 2017. In Chad, engagement of communities and their leaders is key to reaching every child. 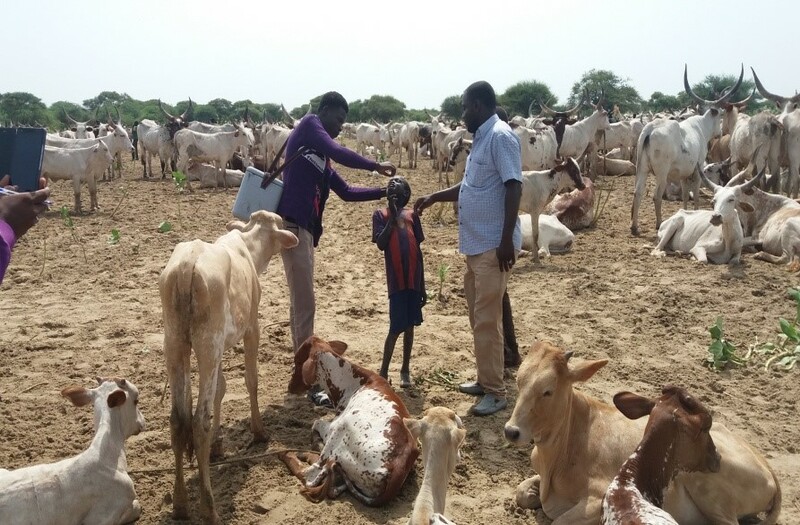 During immunization campaigns, social mobilizers and the community meet and discuss the importance of vaccination, a practice that has proven successful to increase trust among parents and communities towards vaccinators and campaigns. 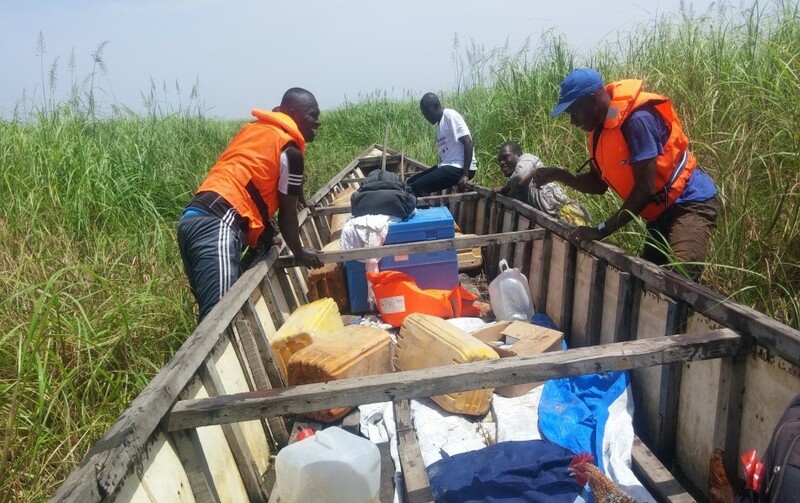 Recommendations to bolster the multi-national regional outbreak response across the Lake Chad basin have highlighted the need to improve operations in hard-to-reach areas. 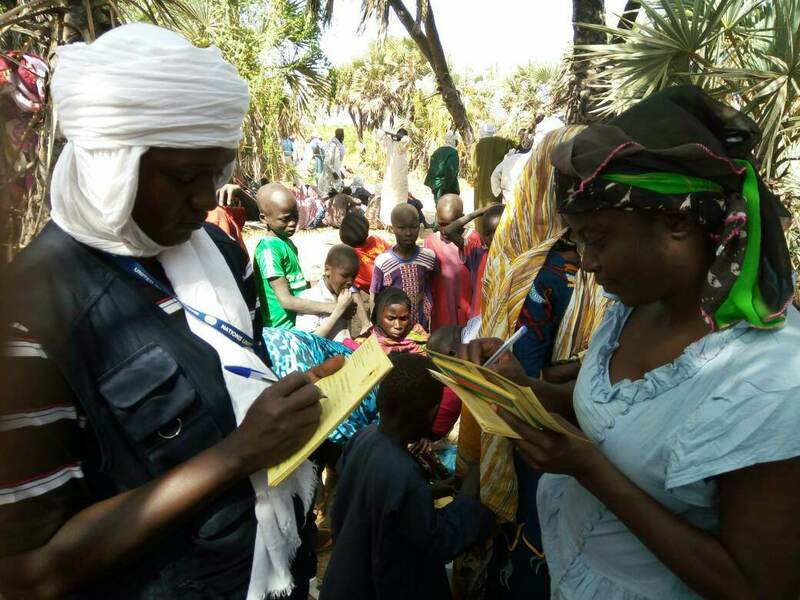 In Chad, health workers have been trained to make better use of campaign micro-plans, which map the location of every household, and ensure that each is visited by vaccinators during a campaign. 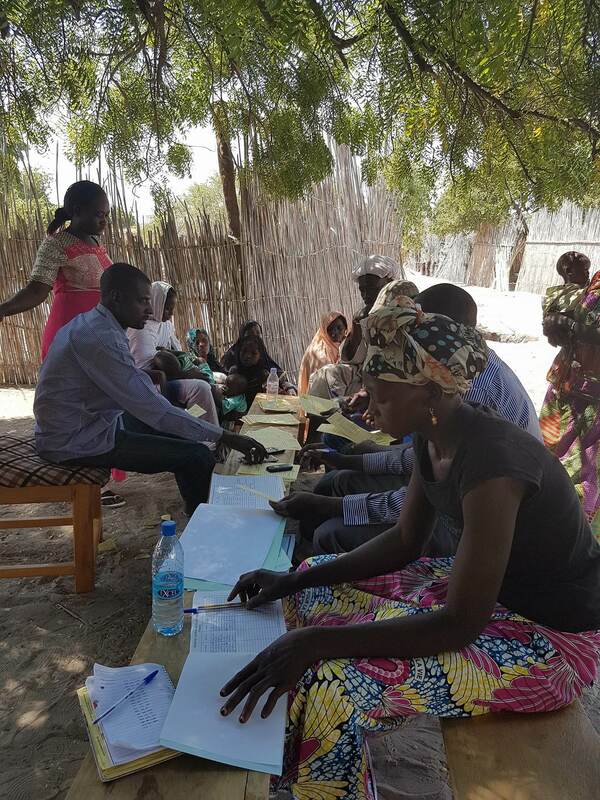 All under-fives living in the high-risk districts of the Lake Chad basin have also been recorded in an community register, helping to ensure that every child receives two drops of polio vaccine in each vaccination round. More than 4.5 million children under five were reached through national vaccination campaigns in Chad in 2017. 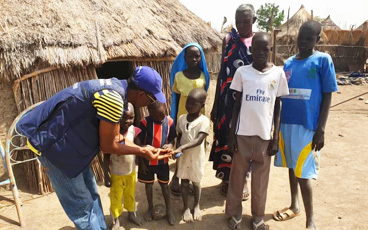 Among these, thanks to the renewed focus on identifying and reaching missed children, more than 215,000 were vaccinated from the priority districts of the Lake Chad basin region - particularly those who reside on difficult-to-access islands within the geographical boundaries of Nigeria. 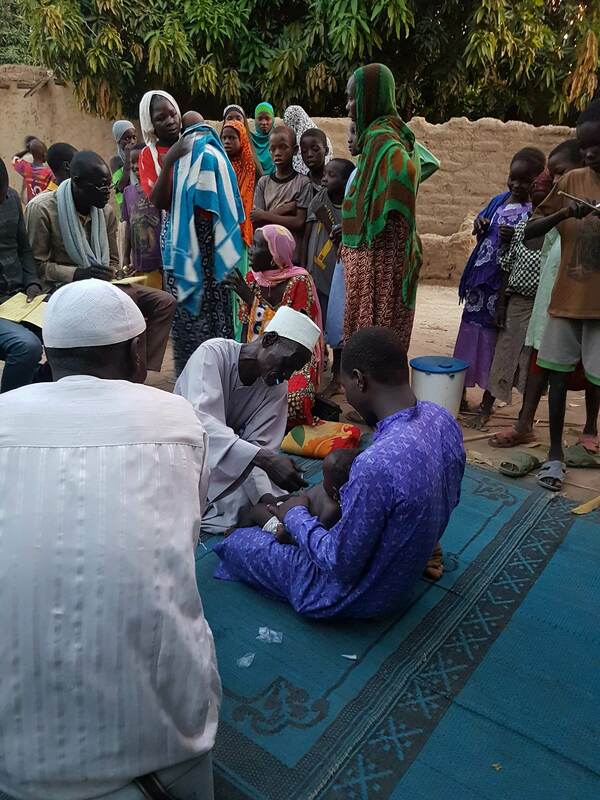 A health worker provides a dose of pentavalent vaccine to a child during an outreach immunization session in Chad. 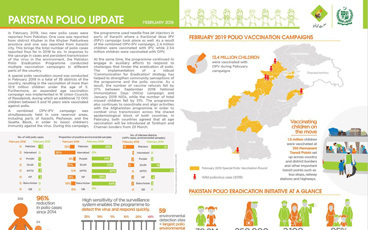 As part of the intensive vaccination campaigns, teams are reaching children with more than just polio vaccine – bringing broader benefits to remote and hard-to-reach communities and maximizing the reach of the polio network.